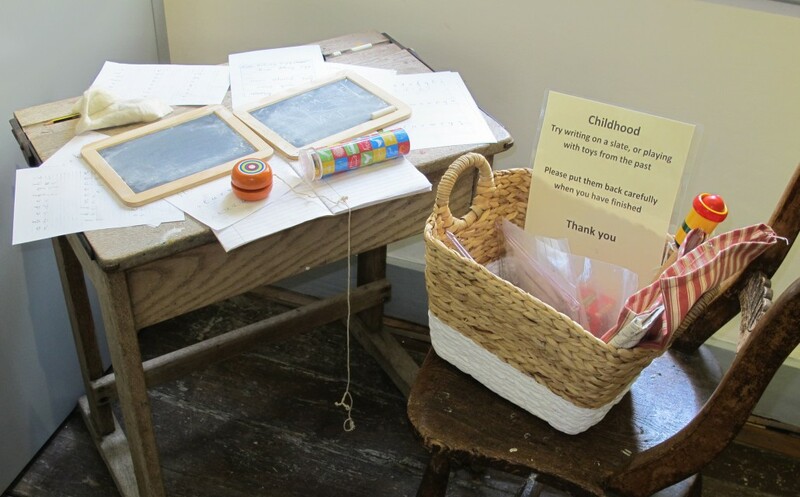 Cup and ball, yo-yo, kaleidoscope, slate and chalk: all these toys are now available for visitors to handle from an Activities Basket in Room 4 of Gold Hill Museum. They are really intended for younger visitors, but some adults may wish to rekindle memories of their youth. The caps and bonnets from a dressing-up basket in Room 2 will definitely be too small for grown-ups. Children are however invited to transform themselves into Victorian boys and girls.